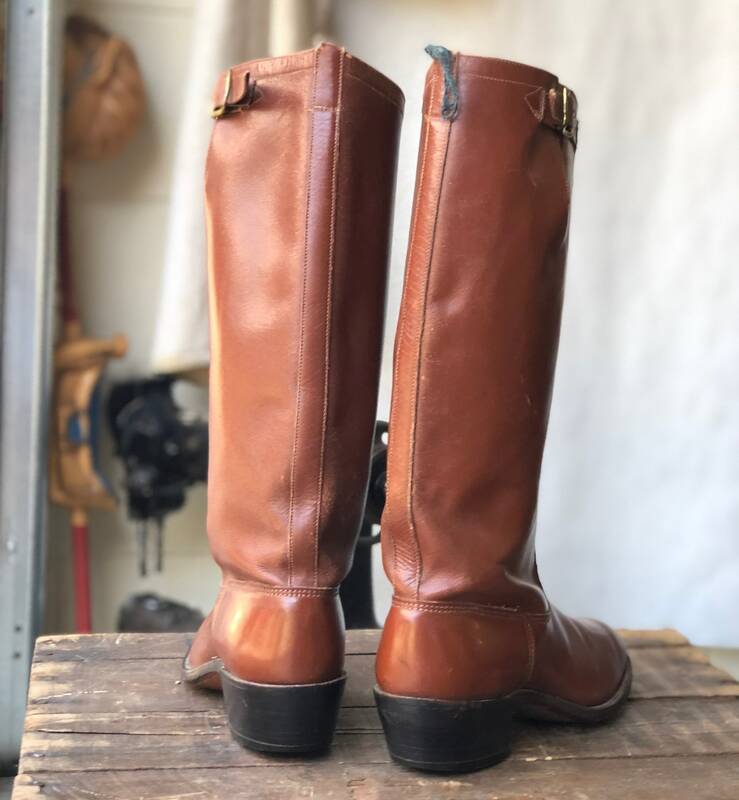 The Gokeys boots are all leather, including the soles. 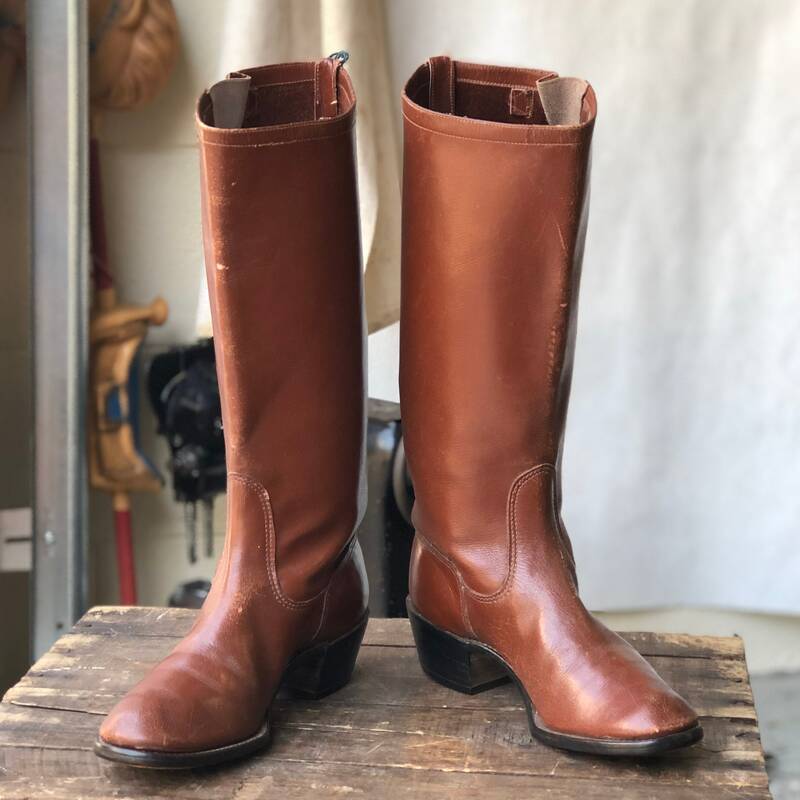 The boots are hunting/riding boots from the 1960’s. 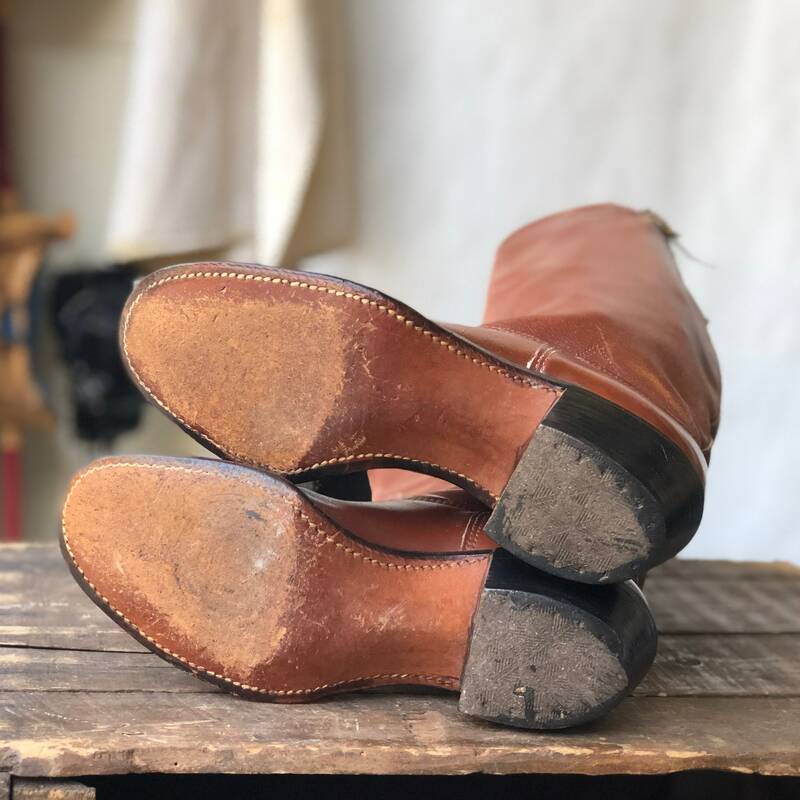 They orginally had strap and buckles across the ankles that were removed by the previous owners, leaving the perforated marked on the sides. 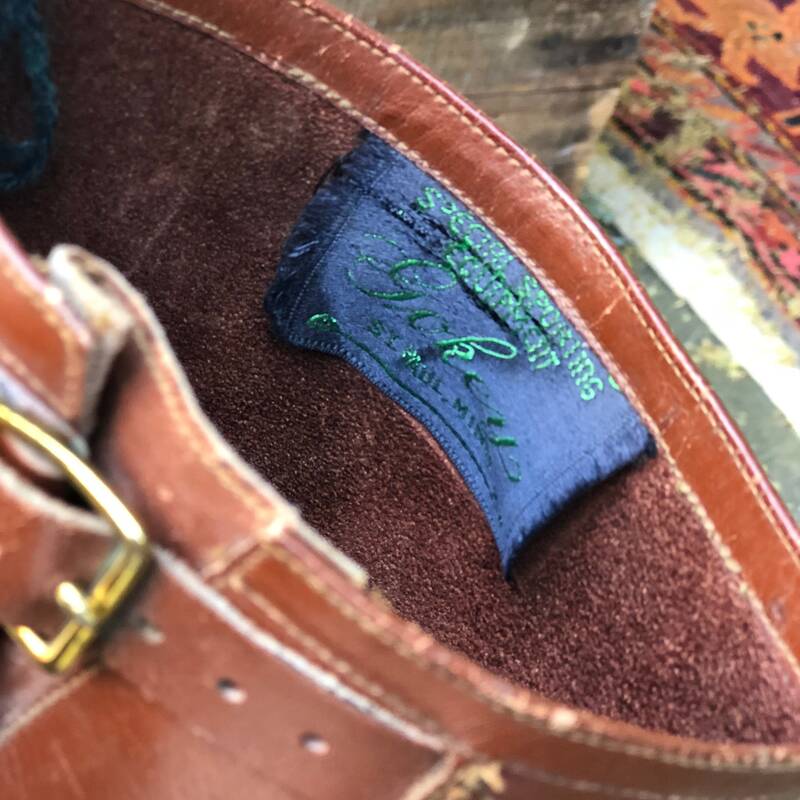 The straps being removed gives them a more sleek styling. 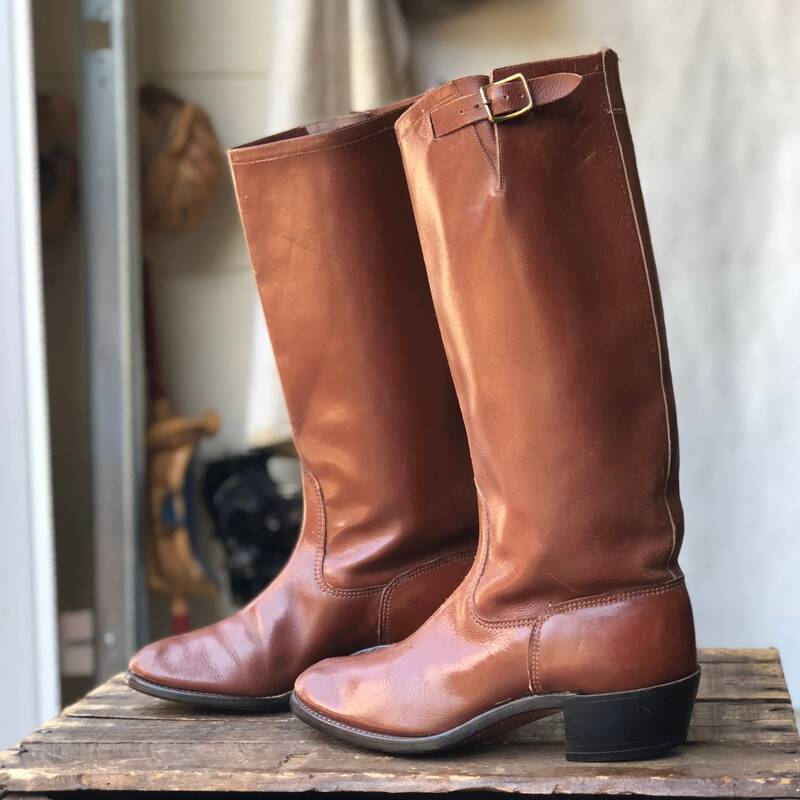 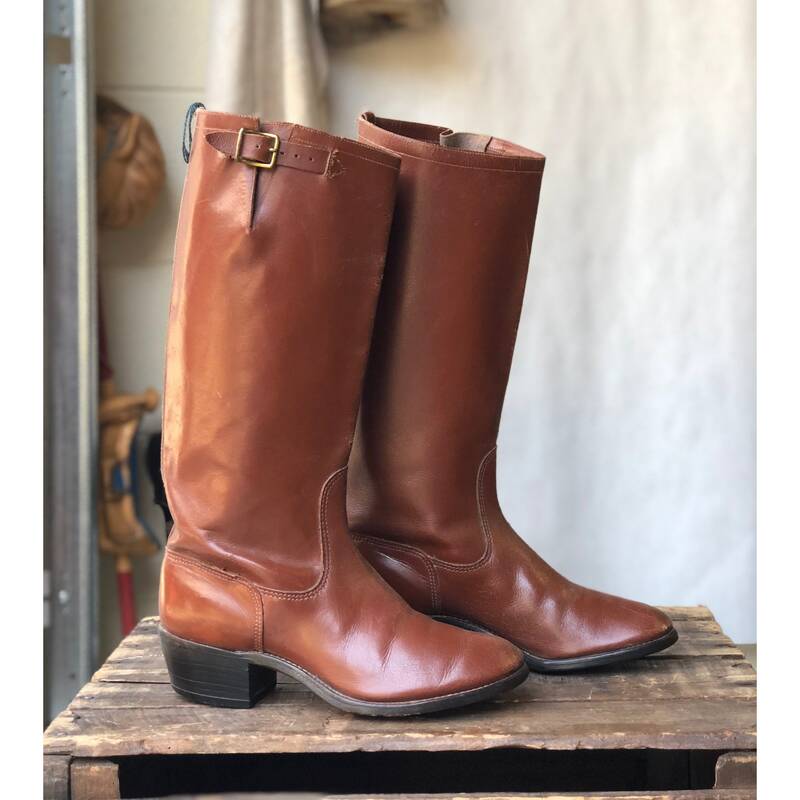 The boots are gently worn with a beautifully aged patina.